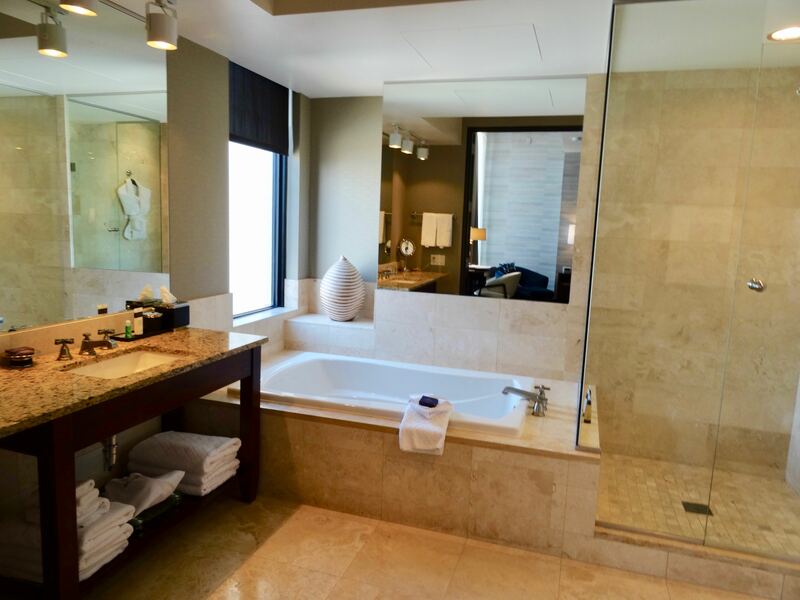 Perched on the 21st floor, the Performer Suite at the Loews Minneapolis Hotel offers panoramic views of downtown Minneapolis. 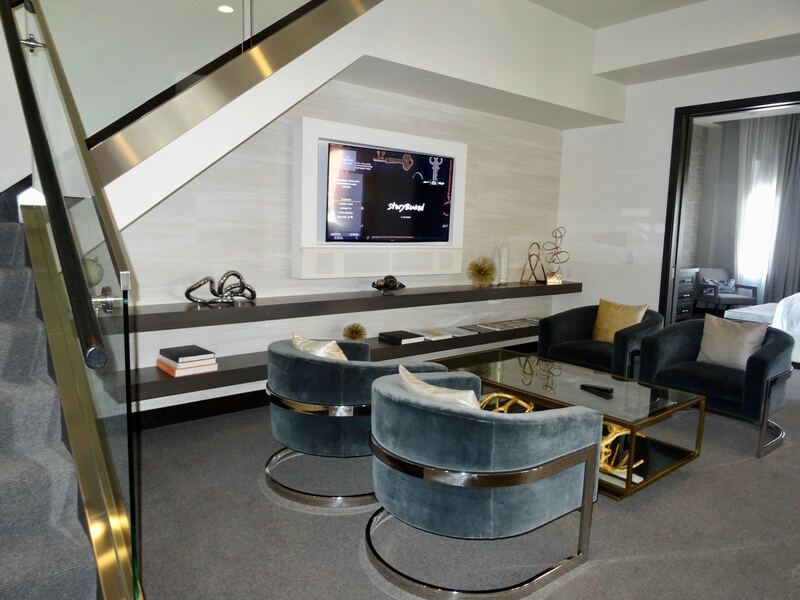 Designed for rock stars and VIPs, the suite has a circular, acoustically correct Corinthian Leather alcove with a baby grand piano, as well as three plasma TVs and a sound system. 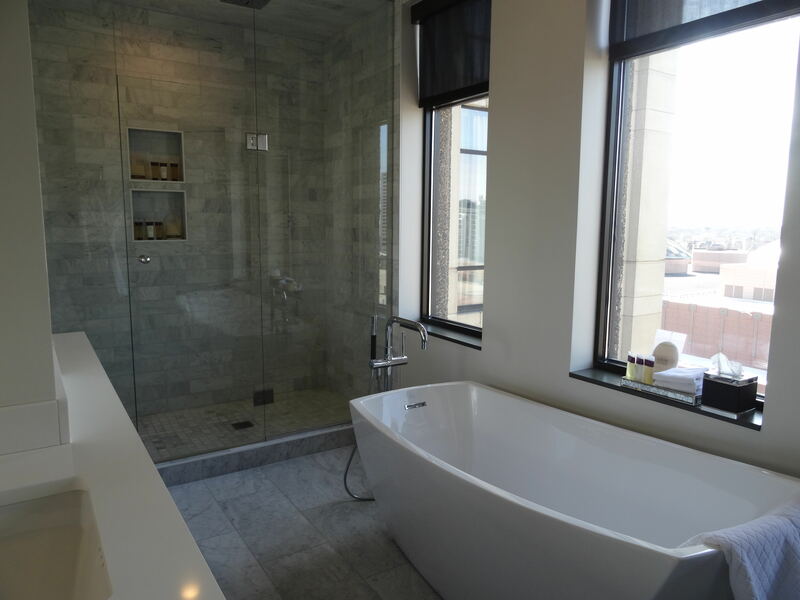 There's an office, living room with artwork featuring Minnesota-born Prince, and dining room with a wet bar, plus a private in-suite fitness center. 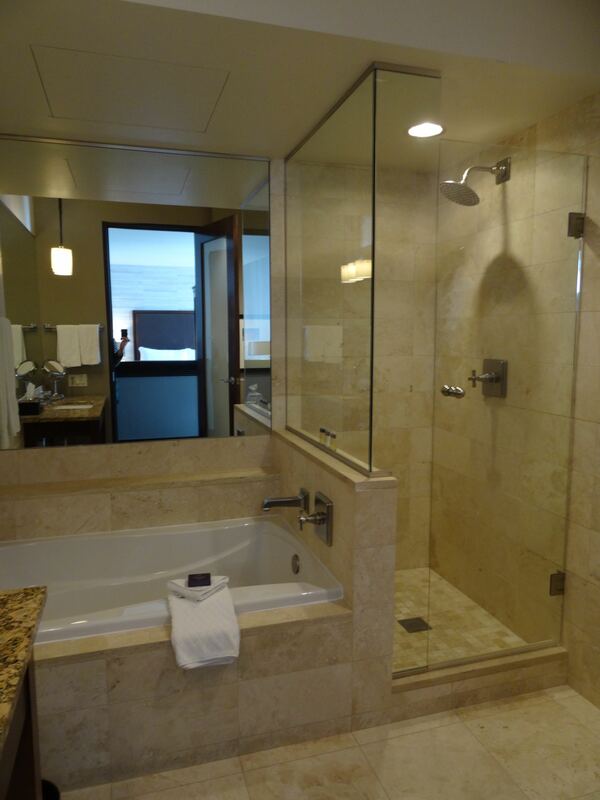 The bedroom has a custom-made King Bed, and the bathroom has a double vanity and 5-head massage shower. Read more about the hotel below the photo of the Performer Suite. 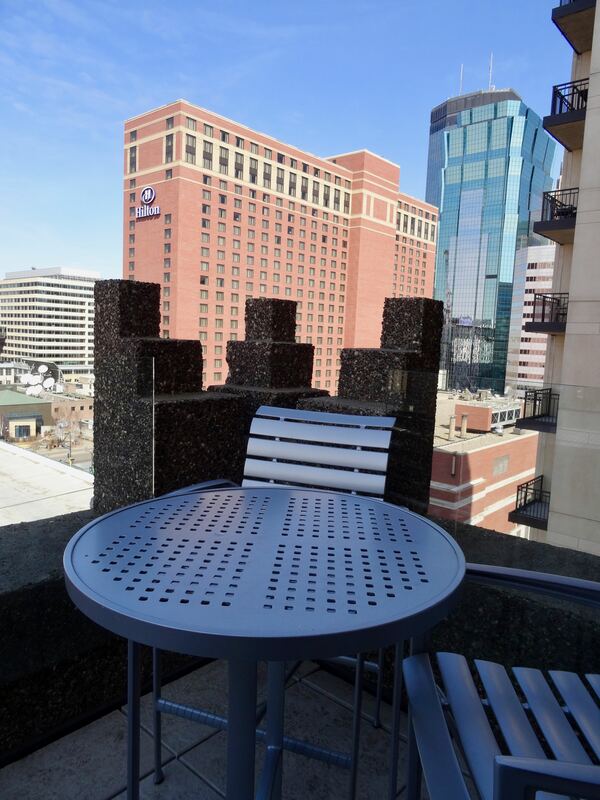 Connected to the Target Center via skyway, Loews Minneapolis Hotel offers a central location in the heart of downtown Minneapolis, steps from Target Field, the entertainment district, and corporate offices. 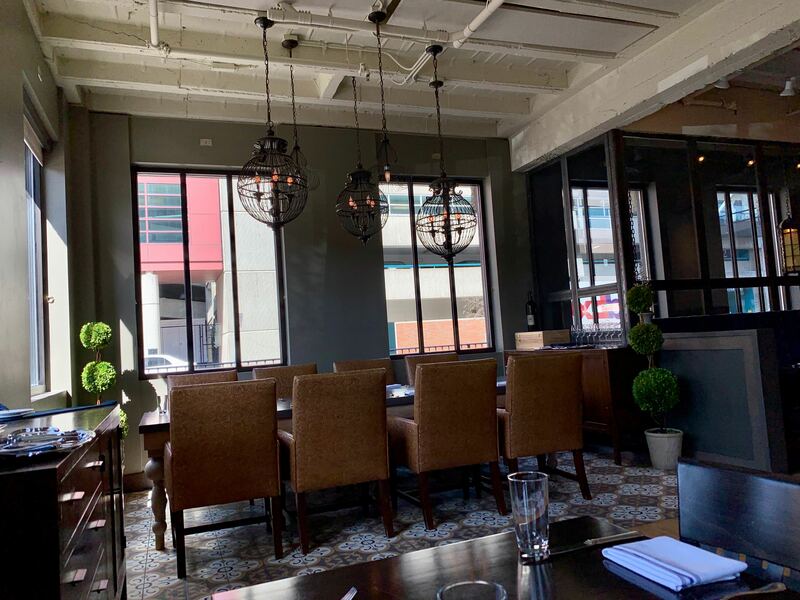 (Editor's note: Loews is an ideal location for guests going to concerts or games at either Target Center or Target Field, as the skyway provides indoor, climate-controlled access to both venues.) 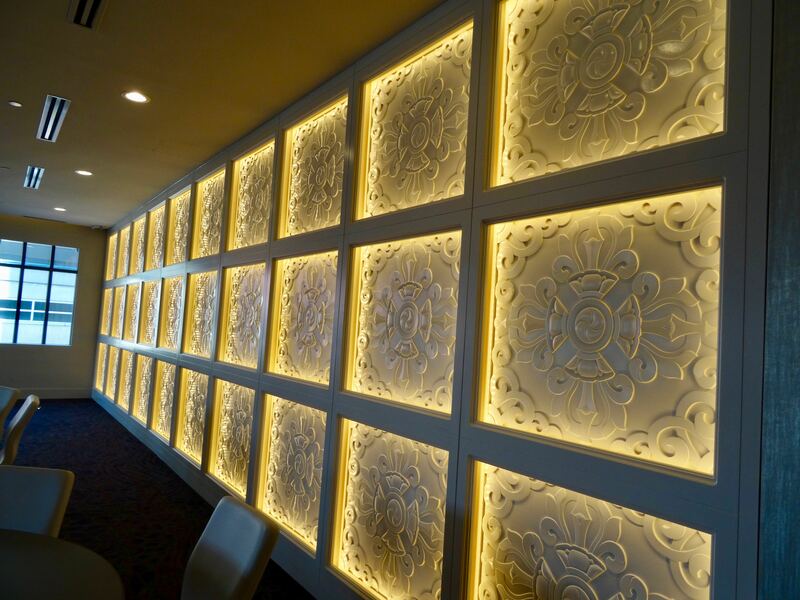 The luxury hotel has award-winning dining at Cosmos, the Apothecary Bar & Lounge with crafted cocktails and small plates, as well as the Relevé Champagne and wine bar. Guestrooms and suites were recently renovated, and the Embury Spa provides a range of treatments. Providing Midwestern charm infused with outdoorsy activities, Minneapolis, Minnesota has foodie-focused dining, award-winning sports stadiums, as well as an array of museums and cultural experiences. While commonly known for harsh, cold winters, Minneapolis is a destination offering four distinct seasons of activities. Situated in the most populated area of the state, Minneapolis is usually referred to as one of the Twin Cities, that also includes the capital city of St. Paul. Separated by the Mississippi River, these two cities are surrounded by sprawling suburbs with rivers, lakes (Minnesota is referred to as the "Land of 10,000 Lakes"), biking trails, parks, and of course the Mall of America, in Bloomington, right by the Minneapolis-St. Paul International Airport. Locals are known for their "Minnesota Nice" demeanor, as well as their ability to embrace the cold of the "North" with the St. Paul Winter Carnival (January 25 to February 11, 2018) which this year includes an ice castle, and popular winter activities like cross country skiing, snowshoeing, and ice fishing--the practice of going on a frozen lake, drilling a hole in the ice, putting a line in, and seeing what the day's catch will be. For hearty locals, they may sit out in the elements on the lake, or many have portable fish houses with TVs, beds, couches, and homey comforts. Prefer warmer weather? Spring, summer, and fall in Minneapolis offer mild temperatures. From late April to October, the weather provides distinctively changing seasons, ideal for biking the Midtown Greenway, a 5.5-mile walking and biking trail along the former railroad corridor. There's also the Minneapolis Chain of Lakes: Lake Harriet, Bde Maka Ska (formerly Lake Calhoun), and Lake of the Isles with walking and biking paths along the shoreline, and plenty of opportunities for kayaking, sailing, and water-related activities. Sporting events are a big part of the local scene, with Target Field hosting the MLB's Minnesota Twins, Target Center is home to the Minnesota Timberwolves NBA Basketball Team & the Minnesota Lynx WNBA Team, and of course, U.S. Bank Stadium is home to the NFL's Minnesota Vikings (and the Big Game on February 4, 2018). Head across the river and the Excel Center is home to NHL's Minnesota Wild, and the Minnesota United Soccer team will play at Allianz Field, set to open in 2019. While the stadium's and the teams are part of the draw, the food offerings at each of the stadiums are infused with local flavors from the region's top restaurants and local breweries. For cultural events, Minneapolis and St. Paul both offer multiple venues for touring Broadway Shows, orchestra performances, and the Guthrie Theater in Minneapolis has new and locally-produced shows. 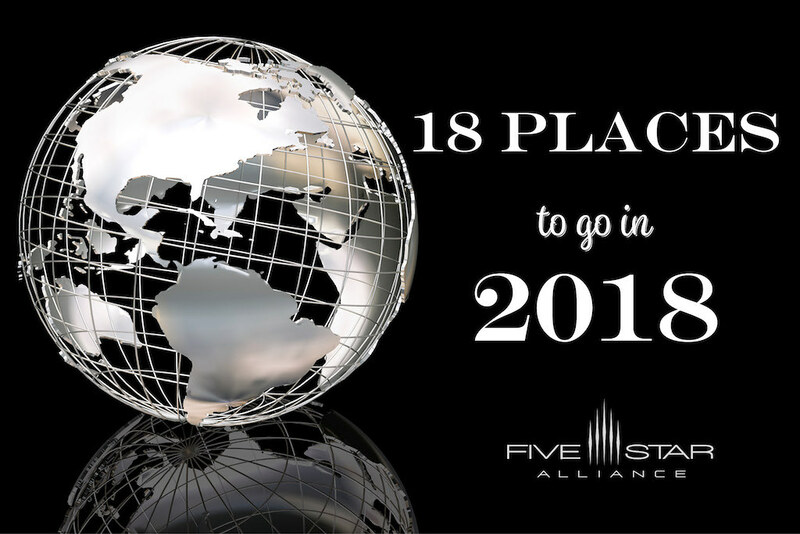 Recognized for a strong food scene, some highlights include Nordic cuisine at the Bachelor Farmer, and the famous Juicy Lucy (cheese-stuffed hamburgers), which can be found at a variety of local restaurants with Matt's Bar and the 5-8 Club vying as the creators of the popular Minnesota-born burger. While in town, visitors will want to be sure to try some dishes infused with wild rice, and maybe try a "hotdish" (the Minnesota name for a casserole). For a one-of-a-kind food experience, the Minnesota State Fair (August 23 to September 3, 2018) is known for an array of items (many deep fried) served on sticks. Occupying the historic Foshay Tower, the W Hotel Minneapolis - The Foshay is an Art Deco landmark. Built in 1929, the Foshay Tower was the tallest building in Minneapolis until 1972 when the IDS was built. Today, the property is home to the luxury hotel and offers fine dining at Manny's Steakhouse, cocktails in the Prohibition Bar overlooking the city in what was once Wilbur Foshay's Boardroom, and the Keys Cafe with casual dining. Connected to the city's extensive skyway system, Kimpton Grand Hotel Minneapolis offers historic architecture mixed with masculine-inspired modern style. 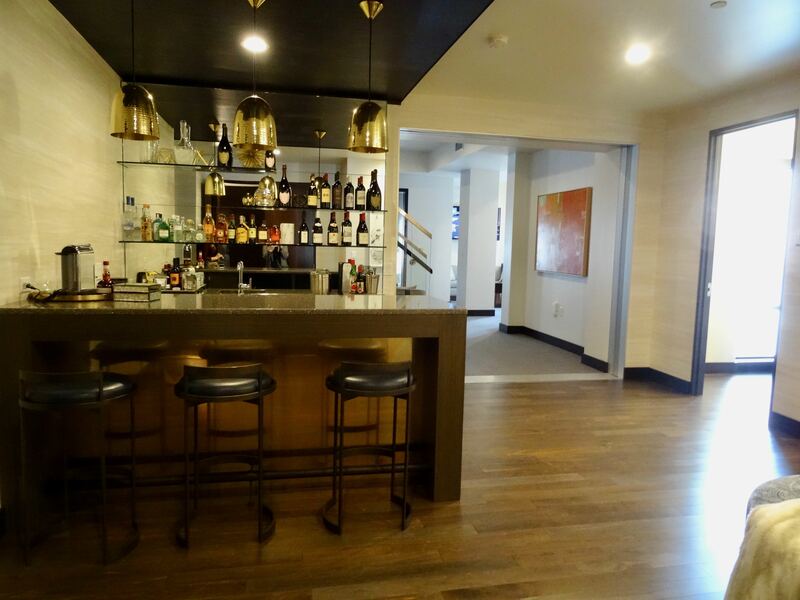 Originally built in 1912, the luxury boutique hotel has the SIX15 Room with a stylish lounge atmosphere, small plates, and creative cocktails. There's an indoor pool, and guests have accesss to the adjoining 60,000-square-foot Lifetime Athletic Club with an array of cardio machines, strength traiining equipment, exercise classes, and spa services. Set in a historic Ziggurat style tower, the Hotel Ivy Minneapolis has the Ivy Spa Club with a salon and array of treatments, as well as the Ivy Fitness Club with state-of-the-art fitness equipment, small class sizes, personal trainers, and indulgent amenities. For dining, Morello provides an upscale setting for coastal Italian cuisine, Constantine has a subterranean setting for crafted cocktails, and the property is steps from the Minneapolis Convention Center. Steps from Target Field and Target Center, Loews Minneapolis Hotel soars 22 stories above the city. 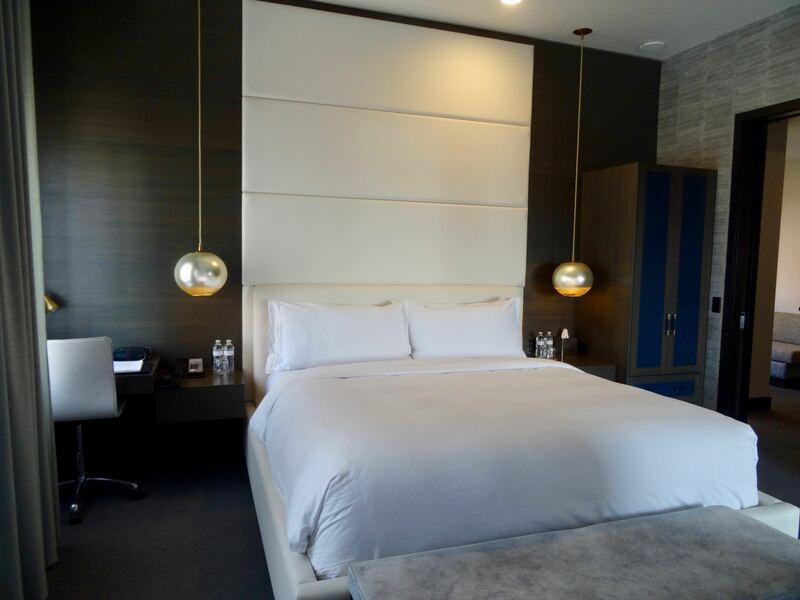 Offering recently renovated guestrooms and suites, the hotel is connected to Fortune 500 companies and attractions via the skyway system. Embury Spa provides an array of rejuvenating treatments, and Cosmos features a sophisticated retreat for fine dining. There's also the Relevé Champagne and wine bar, and the Apothecary Bar & Lounge for cocktails and small plates. 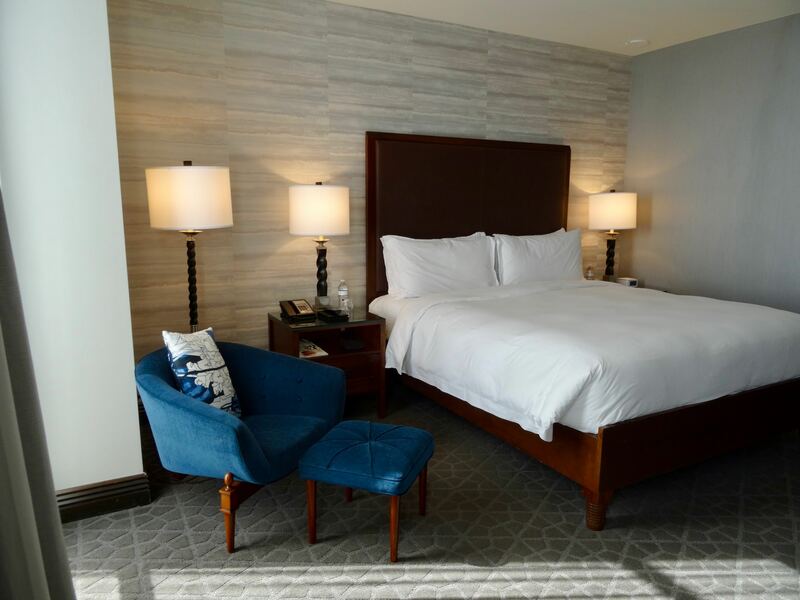 Featuring newly renovated guestrooms, The Marquette Hotel is located within the Crystal Court of the IDS Center. 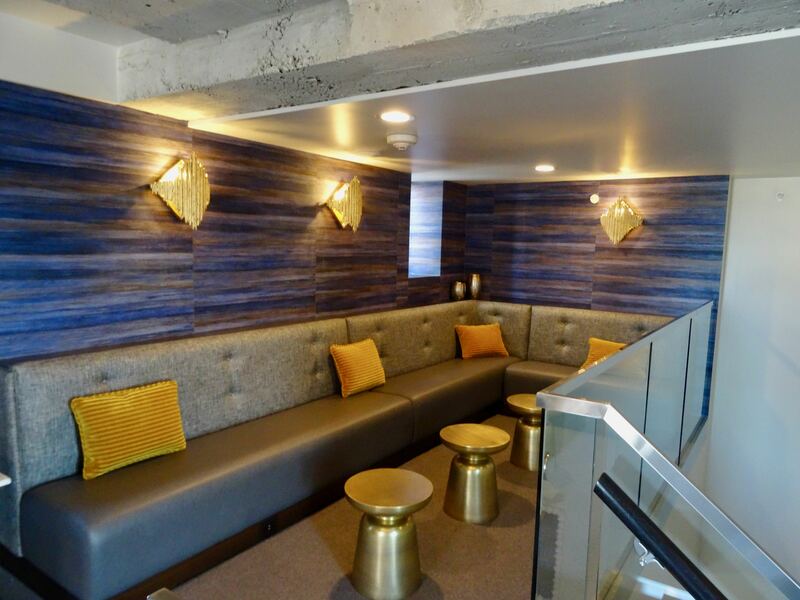 Steps from the shops and restaurants along Nicollet Mal, the hotel has accommodations with floor-to-ceiling windows, and custom furnishings for a residential feel. The Light Rail is two blocks away with access to the airport and the Mall of America, and Jacques Restaurant & Bar has small plates and cocktails. Planning an event? The hotel's Windows on Minnesota event space is located on the 50th floor of the IDS with 360-degree city views. 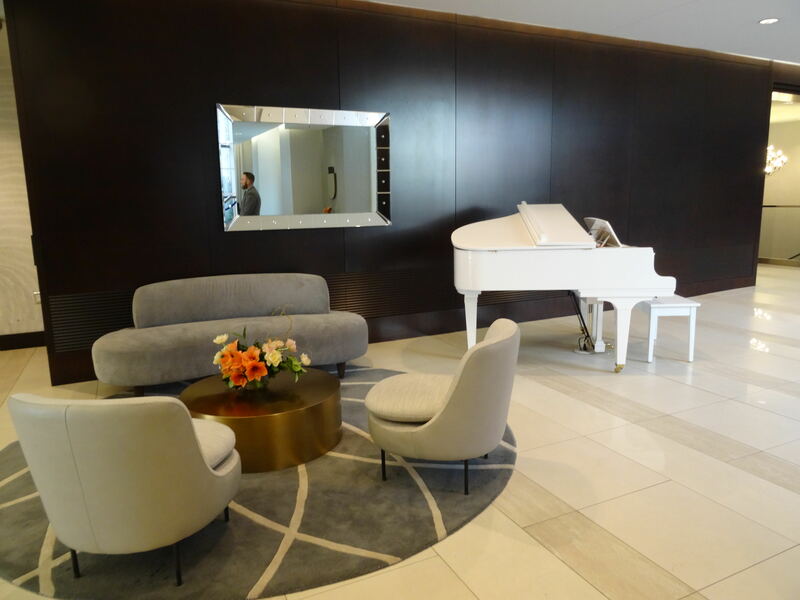 Millennium Hotel Minneapolis has reopened in Minnesota's largest city following an extensive $22 million top-to-bottom total transformation. 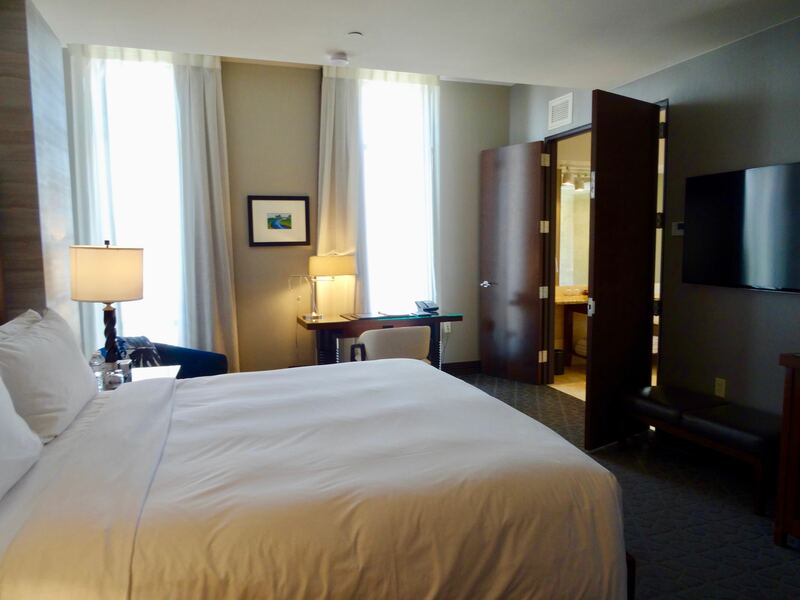 Situated along the tree-lined streets of Nicollet Mall, this downtown Minneapolis hotel is minutes from the theater, museums and cultural centers; and is directly connected to the Minneapolis Convention Center by enclosed skyway.